As a child, did you ever find yourself daydreaming about what it would be like to be He-Man, the most powerful man in the universe? You were not alone. He got to carry a sword, ride around on Battle Cat and spar with Skeletor... and always win. He-Man was strong, wise and respected nearly everywhere he went. If that wasn't enough, he also had an admirable alternate identity as Prince Adam of Eternia. If you didn't wish you were He-Man, maybe you wanted to be She-Ra, He-Man's sister. 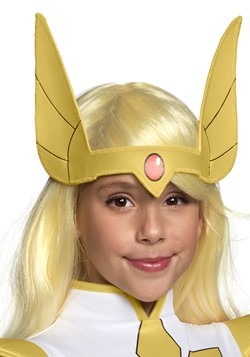 She who also had a cool sword and was reigned as Princess Adora on the planet of Etheria when she wasn't in She-Ra mode. Watching He-Man in the 1980s delivered much more than action-packed entertainment. The last 30 seconds of each episode were always devoted to delivering a moral or important lesson from each episode. Sometimes there were really good ones like from the episode “Ordeal in the Darklands” where Man-At-Arms explains to Teela at the end why parents set limits to protect their children from danger. At the end of “Trouble in Arcadia” He-Man and Teela explained what the Magna Carta was. Many others went on to promote reading, good sportsmanship, being honest, saying no to drugs and avoiding strangers.